Here's a quick video to show you how I made them! Who's excited for the Rio 2016 Olympic Games? I am! 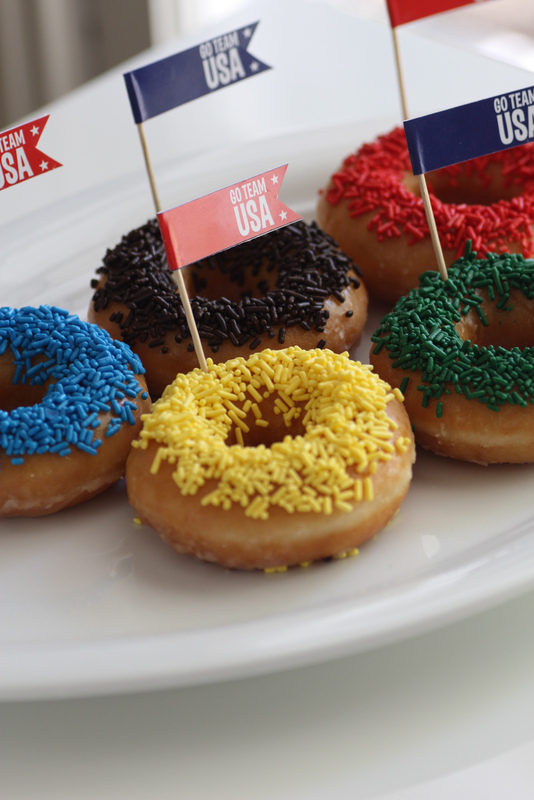 I love the summer games, especially gymnastics and track and field! 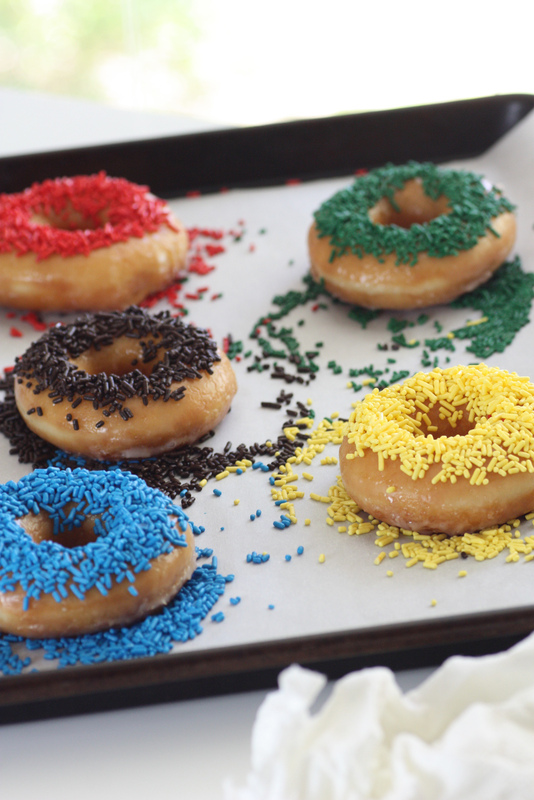 I created these Olympic Games donuts to put you in the mood for the games, and because I wanted to create something that would be messy. You see, Bounty has teamed up four-time Olympic gold medal sprinter, Allyson Felix, one of the fasted women in the world. Allyson is quick, and so is Bounty! 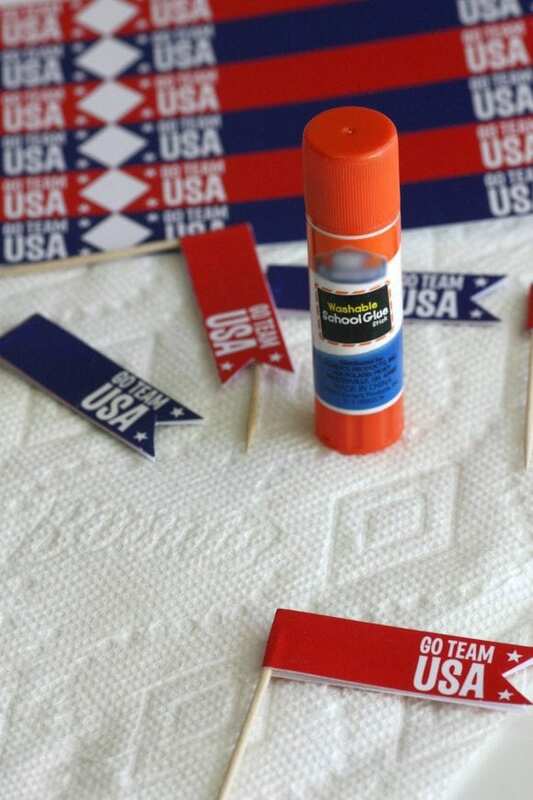 Bounty also good at preventing messes, which is why I used it when gluing toothpicks to our free Olympic printables. 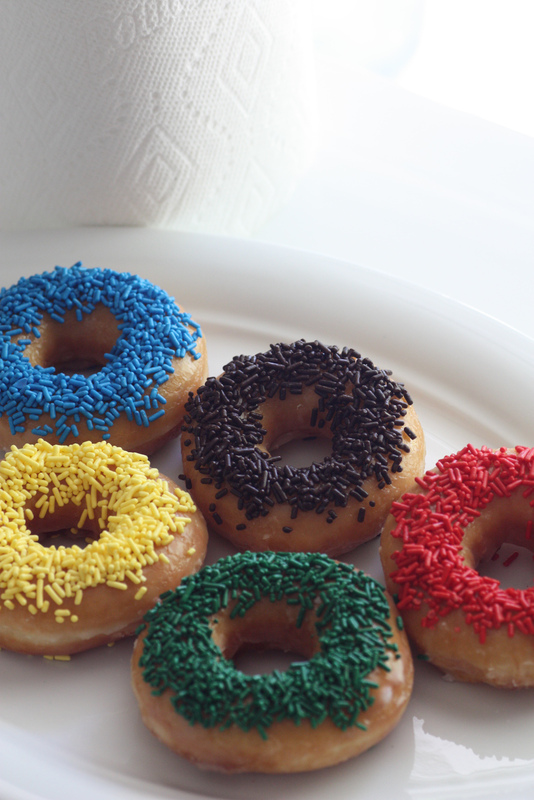 To make these Olympic Games donuts is simple. I used Krispy Kreme donuts because I like their round shape. 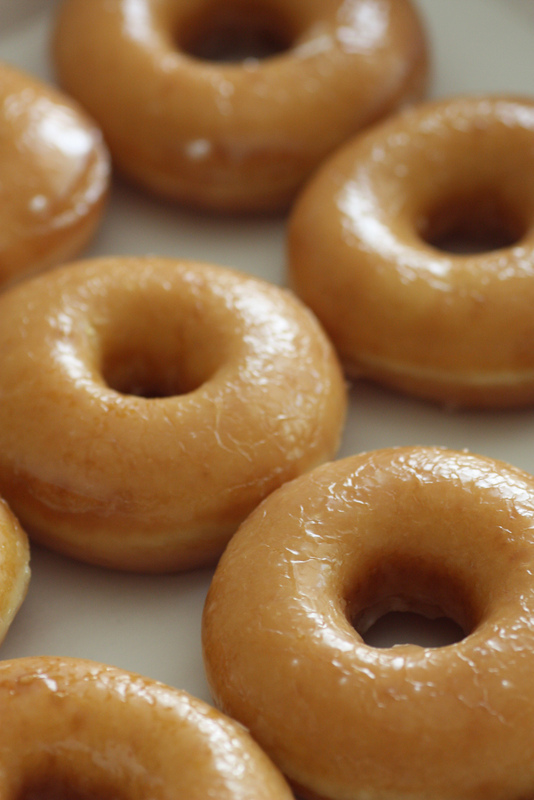 Then I very lightly dampened the tops of the donuts to make the sprinkles stick. 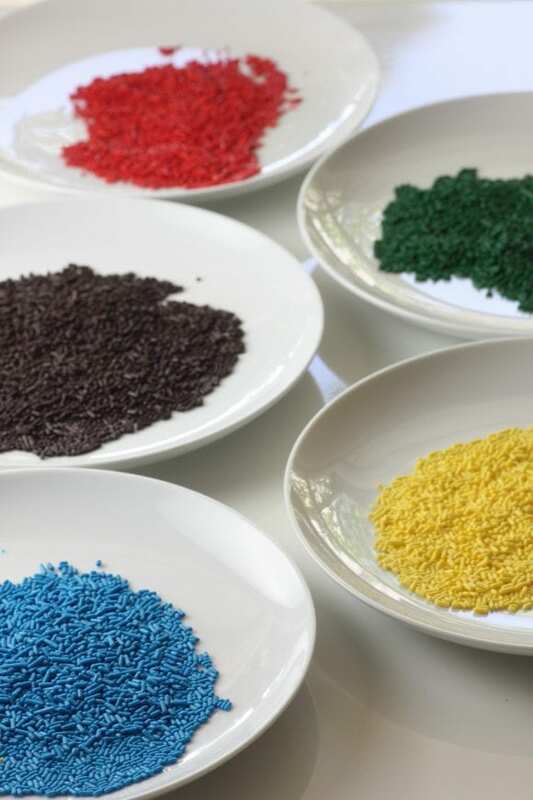 I used these sprinkles for the colors and these for the black (affil). 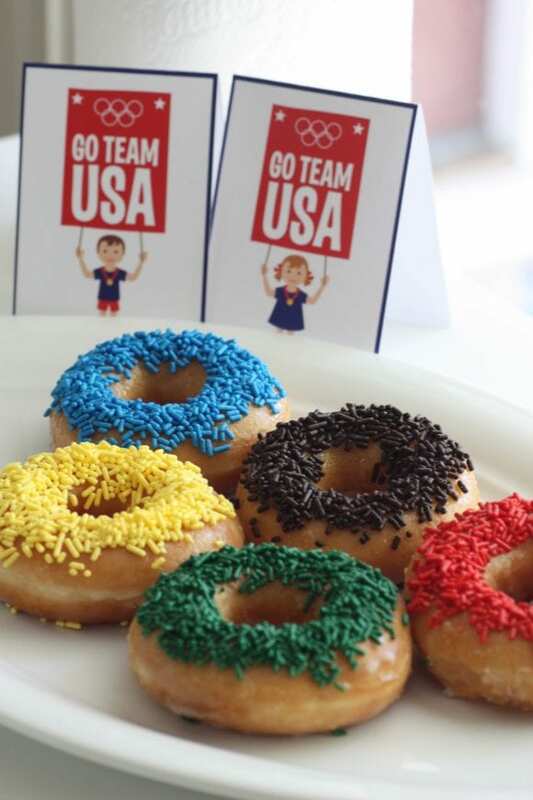 I sprinkled them on each donut. 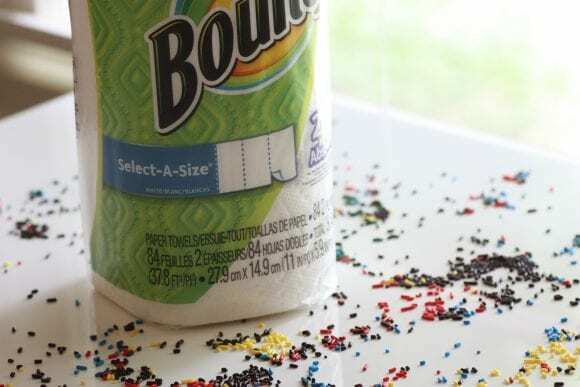 It was definitely messy, but when it came time for cleanup, I dampened a sheet of Bounty (because it's so absorbent, I needed only one sheet), swept the sprinkles into a pile, then using another damp paper towel, scooped them up. Easy peasy. I love how they turned out and so did my family! Bounty wants you to join them online to share your best quicker picker upper tips when it comes to cleaning up messes. Starting on April 28, tweet your quicker picker upper cleaning tips to @Bounty using #quicktip and #promotion. Bounty will donate $1 for every #quicktip tweet* to Community Olympic Development Programs, which helps progressing athletes through their development. Bounty is also going to share the tips on their social media channels throughout the Olympic Games! You can read the terms and conditions here. This post is sponsored by Bounty. All opinions, ideas, and inspirations are mine!